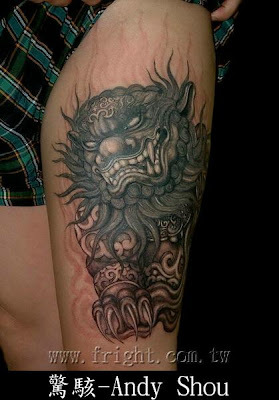 A stone lion tattoo on the leg. This tattoo is a Chinese guarding lion, or stone lion. It is a common representation of the lion in pre-modern China, which is believed to have powerful mythic protective powers.